As someone who creates content, I’ve been asking (some might say throwing tantrums) our business development team to bring in a tool that helps me. You know, just a little something that tackles collaboration, approval, publishing, and engagement tracking for all the hard work I do. And boy oh boy, did they pull through. 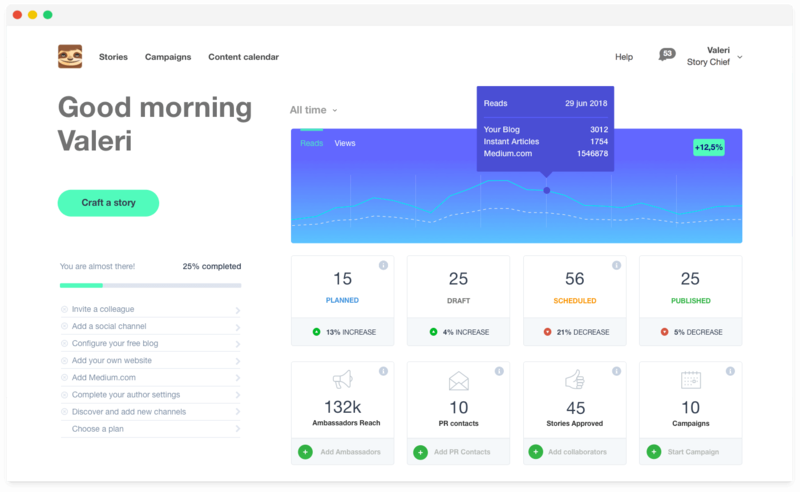 Marketers and anyone responsible for publishing content, feast your eyes on the most complete tool we’ve seen yet: Story Chief. 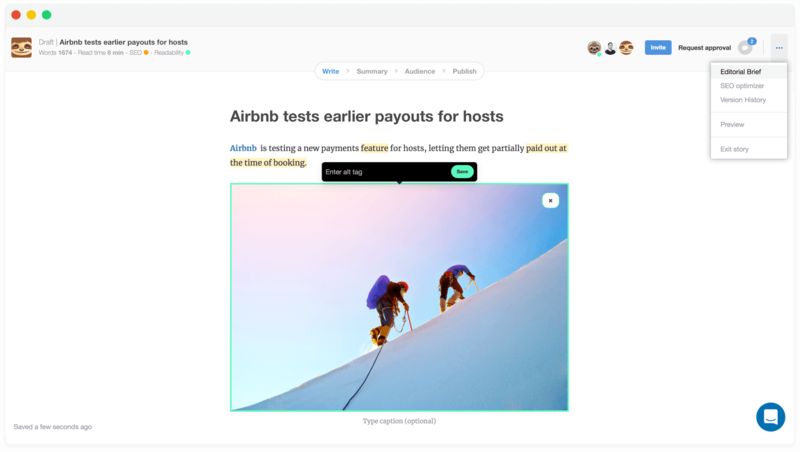 Story Chief is an editorial software that lets you collaborate with your team, publish across all your channels at once, and insights on how your content is performing. The Story Chief journey begins in the Editor, which is a clean and distraction-free canvas designed by writers, for writers. 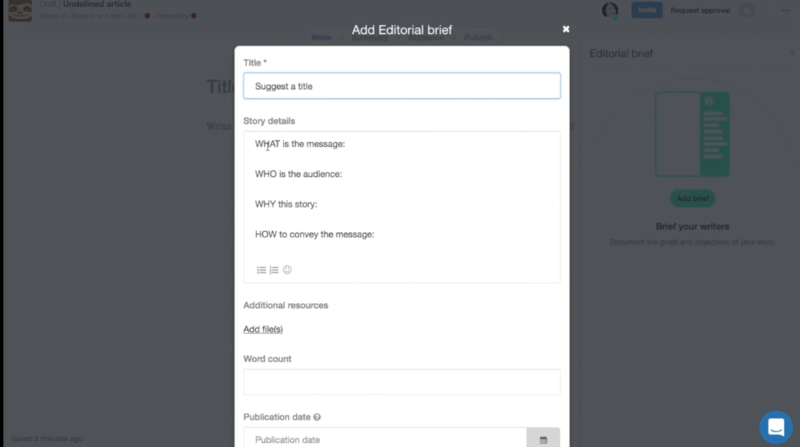 Inside the Editor, you can lay the ground rules for your piece of copy using the Editorial Brief. The Editorial Brief is where you can give your story a title; answer the important who, what, why, and how questions; add additional files; give a word count; set a publishing deadline; andassign the story to a colleague. Story Chief offers a straightforward WYSIWYG editor that allows you to embed images, image galleries, videos, lead capture forms, and rich media like social content from Instagram posts or Google Maps links. Here’s where Story Chief gets fancy. Story Chief has an SEO & Readability tool that shows you tips on how you can optimize your story! From directly within your doc, you can make changes to climb the SEO rankings! When your story is finished and ready for the SEO stage, you can request approval from your editor or go straight to ‘summary’ where you can see/edit things like categories, tags, and SEO settings. As soon as the editor gives you the green light, you can blast your content to all your different channels with just a few clicks — WordPress, Medium, RSS feed, Hubspot-powered blog, social media channels, and your email newsletter! You can even have your ambassadors, friends, or fans automatically receive notification emailswhenever you post, asking them to reshare your content on their personal networks. Everything you post is dynamic. Meaning, if you notice a mistake in the article after it has been published, you can fix it, and all of your posts will be automatically updated. Once your articles/blogs are flourishing on the internet, you can gather data and insights using StoryChief’s analytics platform. 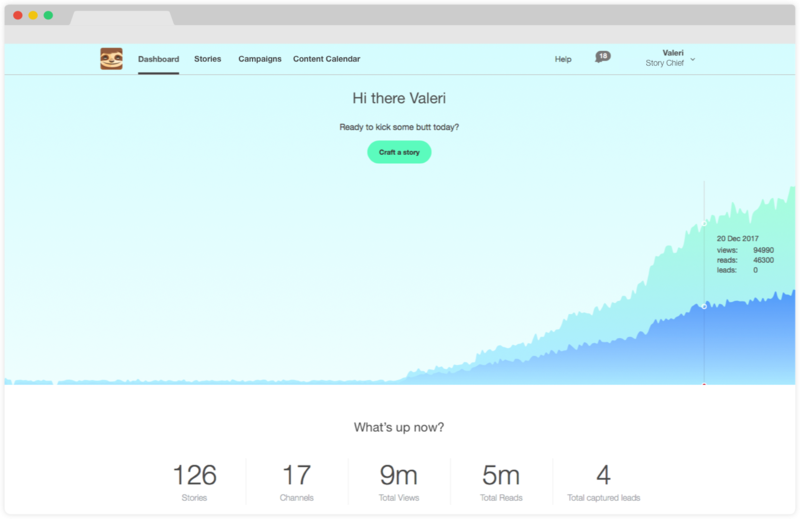 There, you’ll be able to see impressions, views, and reads across all of your channels. However, because Story Chief wants to build their following with loving Sumo-lings, they are offering lifetime access for just $49! AAgencies, if you want to purchase codes for clients, listen up. To give your clients access to the Marketer Plan, you’ll need to buy one code per client. But, if you want your clients to have access to the Extended Plan, you will need to buy two codes per client. 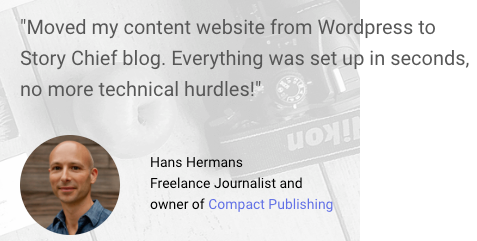 Create and publish content now! Improve the publishing process with Story Chief now! P.S. 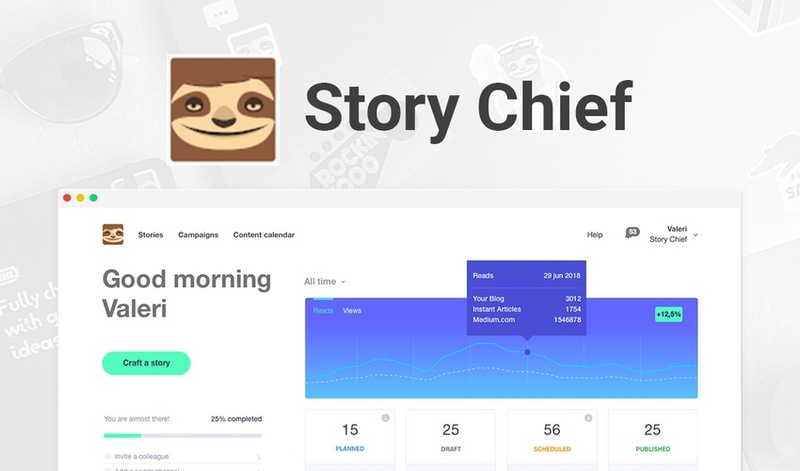 Learn all of Story Chief’s tricks in an exclusive webinar on September 6th, 2018 at 10:00 AM CDT. To register, click here. P.S.S. Have questions? Check out this super helpful FAQ.